Barski Law Firm values the importance of education and the difficulties some students have affording it. We believe that every student with the desire and drive to attend college should be able to enroll regardless of financial status. 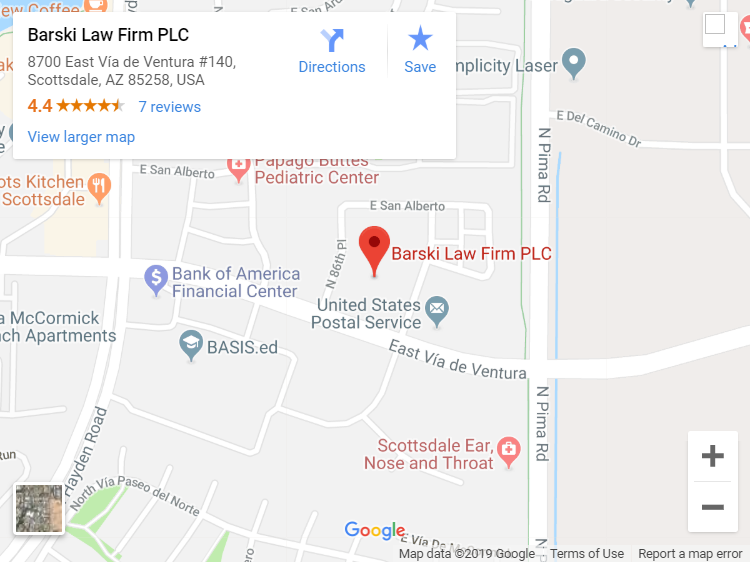 Barski Law Firm is awarding two $1,000 scholarships to cover the education expenses for the 2019-2020 school year. The scholarship is available for Arizona high school students who plan on enrolling in a community college or university. Current high school seniors in a U.S. based high school. Attend an accredited 2-year or 4-year school in the 2019-2020 school year. Participate in school’s extra-curricular activities such as sports or clubs, or other community involvement. Personal Essay – how this scholarship would assist education and future goals. Applications can be e-mailed to cbarski@barskilaw.com, or mailed to 8700 E. Via de Ventura Scottsdale AZ 85258. Attend an accredited 2-year or 4-year school in the 2018-2019 school year.